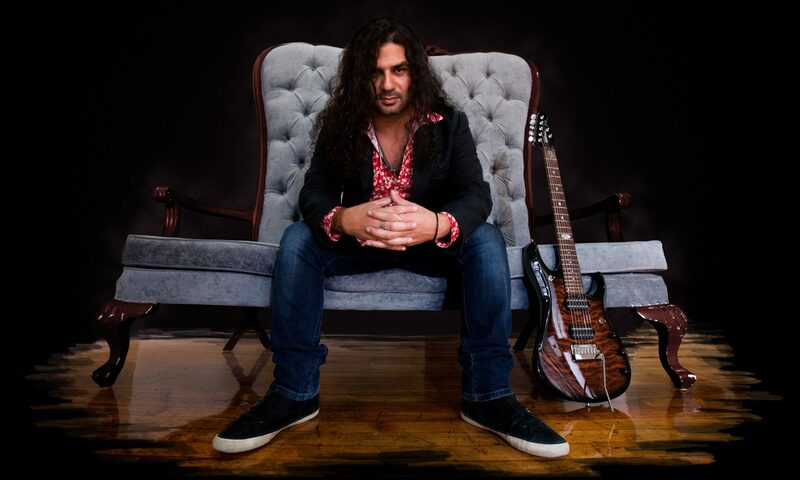 Shant Hagopian is a songwriter and guitarist best known until now for founding the prog rock/metal band Nu.clear.dawn. Hailing from the currently war-torn city of Aleppo they raised attention for having the first officially released metal album from Syria. Their 2003 disc Poem of a Knight won positive reviews and got the band slots on several big Middle Eastern festivals. Shant moved to Canada in 2005 and began work on his first solo project. Featuring progressive musical gurus drummer Virgil Donati (Steve Vai), bassist Rick Fierabracci (PlanetX) and ex-Dream Theater keyboardist Derek Sherinian, Semantic Saturation is a highly polished debut album. It consists of nine tracks; the first eight are instrumental with a heavy influence of Dream Theater, Vai, Rush and SymphonyX while the final track features the signature vocals of Andy Kuntz. The involvement of the Vanden Plas singer will further widen interest in this disc. I’m no musician myself but Shant is clearly a highly talented composer and guitarist. Most of the songs here rock, but unlike many “guitarist” albums this is no shred-fest. Hagopian knows the meaning of restraint. His music has colour, textures and great variations in pace, with a melody central to every composition. These are real songs. Considering the abilities of the musicians he has assembled, that alone is no mean achievement. His early career as a jazz guitarist comes out clearly in several tracks especially the sparkling Stardust and Point Of Singularity. Two tracks (Ambivalence and Stardust) are currently available free from Shant’s website. They give a good flavour of the album and I’d heartily recommend this to anyone who enjoys instrumental progressive rock. An album you will come back to again and again with relish.